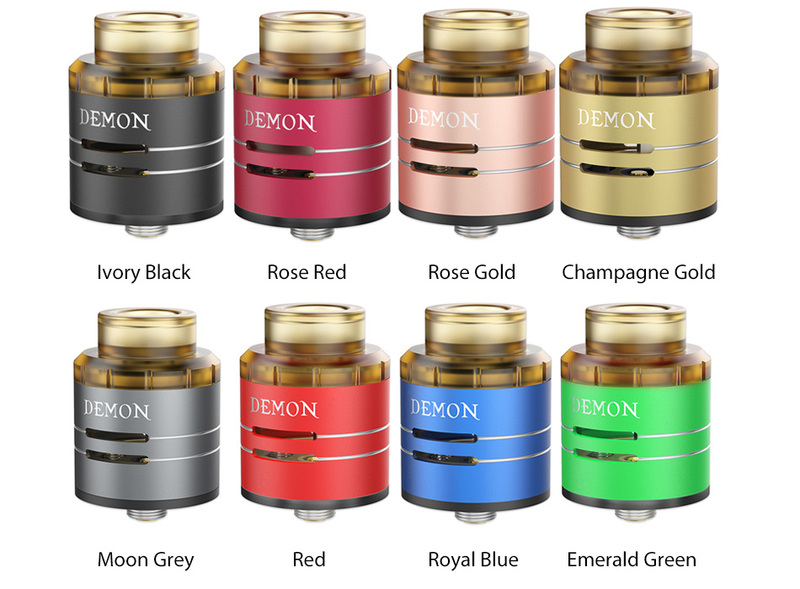 VOOPOO DEMON is a colorful RDA tank with 24mm diameter, food-grade PEI drip tip, effective three multiple airflow control system and innovative Column Superimposed Electrode. 8 colors. 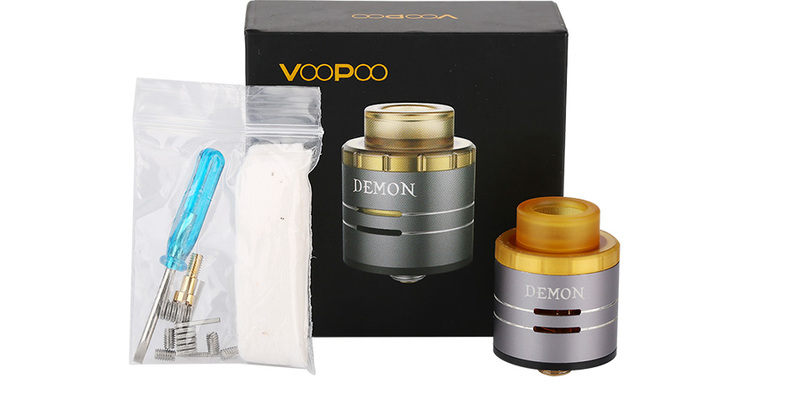 Here comes the VOOPOO DEMON RDA! 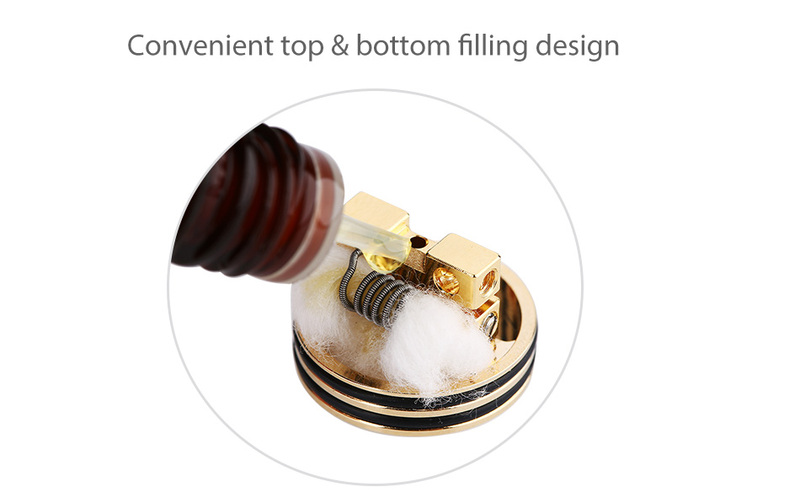 It is a 24mm diameter RDA with a food-grade PEI drip tip, an effective multiple airflow control system and an easy top & bottom filling design. With the extra Squonk pin, you can use it with Squonker MOD. 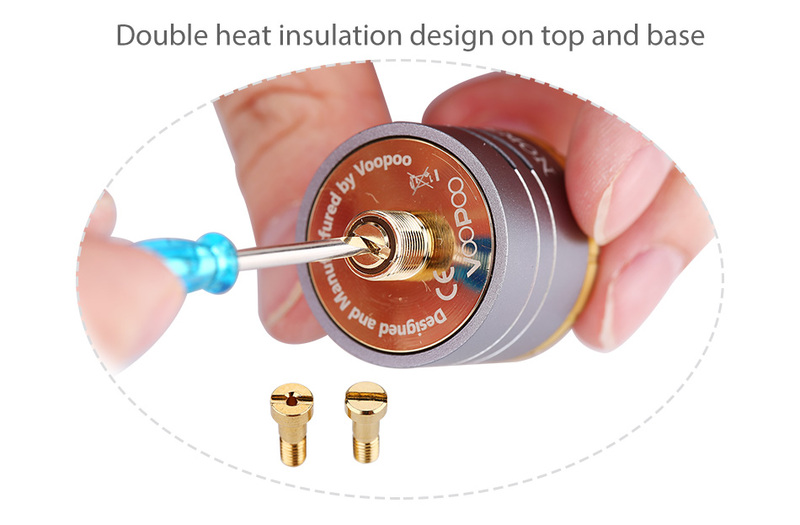 It also has a double heating insulation design on the top and base to avoid overheating and ensure a pure taste. 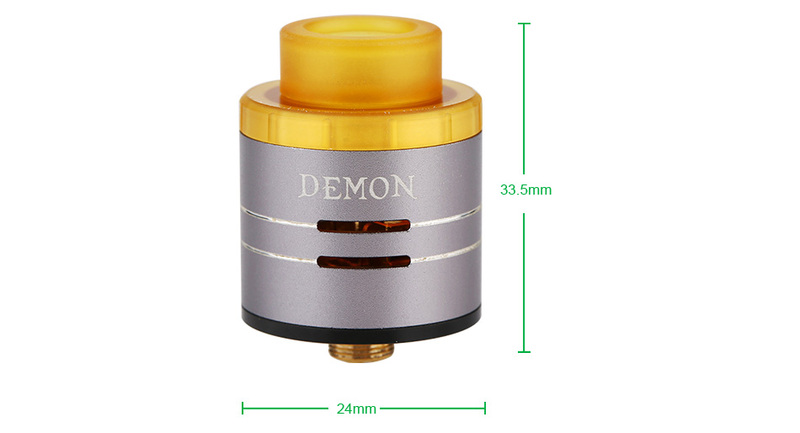 Together with the innovative Column Superimposed Electrode, the DEMON RDA can increase the mod's performance by 20% or more. Single or double coils are easy to replace and assemble with the build deck too. 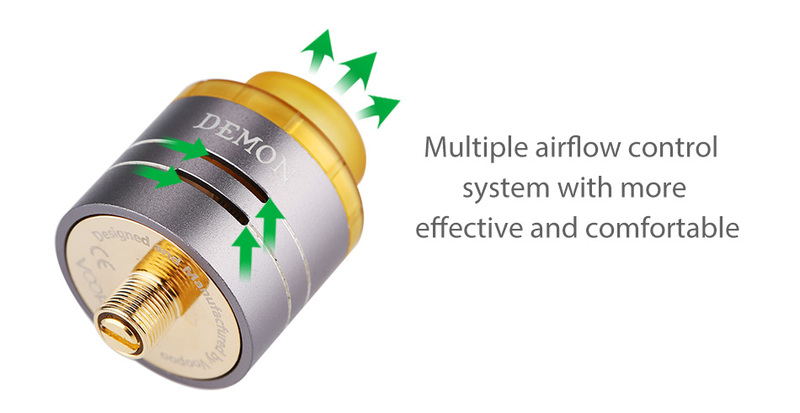 Get one DEMON tank to enjoy different vaping experiences and super power performances! 8 colors for you to choose from. Click the button below to add the VOOPOO DEMON RDA to your wish list.